How to celebrate New Year in Finland with the children? Home / A family / How to celebrate New Year in Finland with the children? New Year in Finland the whole family - a perfect vacation where to go, what to see. Feedback from those who have already celebrated the New Year in Finland with the children. Childhood - it is full of goodness and joy,It is always waiting for a miracle, willing to learn, watch, play and listen to good stories. Ever since childhood, each of us knows that there is a great view of fairyland in which there is a beautiful snowy expanses and dense mysterious forests, blazing Northern Lights and Santa Claus lives. Probably all of us adults, we can admit that and now are looking forward to the Christmas wonderland, magical gifts, special New Year's mood, secretly believe that Santa Claus is still present. And that we, adults, breaking away from the bustle of everyday work, having escaped from the noise of megacities, we have the opportunity to discover our children the good and beautiful fairy tale, which always wanted to go themselves. The tale has a very beautiful name - Finland. Why families with children should choose Finland to celebrate the New Year?
. Our northern neighbor, Finland has a richnature, which is especially beautiful long winter. Snow-covered hills, dense forests, icy and snowy expanses with a rather mild climate, which is influenced by the warm Gulf Stream, winter fairy twilight and magical illuminations Northern Lights - everything is so different from what they see our children, which leaves them with an unforgettable experience with first visit. Hospitality. Finns are very welcome meet theirguests, providing them with all that rich themselves. The harsh winter had no effect on the hospitality of the people of the north. You will be greeted smiling and friendly, accommodated in comfortable hotels or holiday cottages, delicious feed, provide entertainment, and winter fun.
. Particular attention is paid the most in Finlandlittle guests of this amazing country - still in the airport meet children placed everywhere figurines of gnomes and reindeer image of Santa Claus, his wife scream, reindeer Rudolph and fabulous estates our main winter wizard. Thanks to the myths of the cold and beautiful country, and unlike no other winter nature, "Finland" and "New Year" are inseparable concepts, filled with hope, joy, happiness and sonorous children's laughter. Family holidays with children in Finland careful attention to detail. At the airport, you will find yourself in a cozy and a fantastic atmosphere, which will begin a happy anticipation of the holiday. Boredom - the only thing which is not in this nice country, because even official institutions, airports, railway stations and train cars are equipped with special places for the entertainment of childrenThat not for a moment remain in painfulPending. Organized children's holidays in any institution or department store is under the control of teachers who are able to find the approach to any child, offer activities and games to choose from. Older children in such corners may find interesting colorful magazines, books telling about this wonderful country and its people. In the vast majority of restaurants Finland, your children will be offered a varied children's menu, Which necessarily will be found dishes to taste each little gourmand. In Finland, there family centers for families with children - It is, of course, and the village of Santa Claus, and the Valley of the Moomins, and a variety of amusement parks. Zoos Finland will surprise you and your children the natural surroundings and exquisite "naturalness" of the enclosures for the animals who feel at ease in them. For lovers of water activities in Finland opened many water parksAnd lovers of winter fun and relaxation will find a ski slopes with varying degrees of complexity and configuration, withATVs and snowmobiles. You can ride a dog, horse and reindeer sledding, visit the rinks and snow slides, ice palaces and explore the whole winter sculptural gallery, which is akin to the magnificence of the most famous galleries of the museum world. Your stay will be accompanied by high-quality perfect service, assistance and support of special services, a huge selection of entertainment to the most exacting taste, a pleasant chat with the friendly people of Finland, fresh air and a good mood. 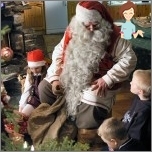 For Santa Claus on New Year - in Lapland with the kids! This - the northern province of the country, whichIt located at the border with Russia. The capital of Lapland, Rovaniemi city, proud of its main attraction - the fabulous village of Santa Claus, whose history begins in 1950, with a visit to this town the first lady of the United States. Solid wooden house, which was surprisingly popular with tourists was built for Eleanor Roosevelt. Santa Claus receives guests kindly and very hospitable. 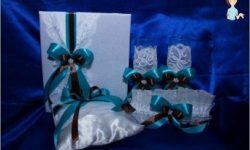 He will talk to anyone, you will present a small gift, put your own signature on the cards to friends. Parents can leave their industrious gnomes onmail a gift to your baby, and they send it to the address in any country, and sending a postcard to be certified by the signature of Santa Claus, fastened his personal stamp fabulous. In this village winter Wizard you can spend the whole day, but better - a few days in a row, and they will be filled with happiness and dreams come true sense - as we do, both adults and children. Two kilometers from the village of Santa Claus is no less famous Theme Park of Santa. This is - a huge cave, which is located under the cover of a stone hill Syuvyasenvaara, with lots of attractions, entertainment places for children and adults. 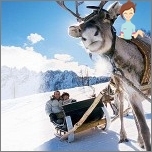 In this park you can visit the Ice Gallery, Mail, and the Cabinet of Santa Claus, elves become students of the School, to try fragrant delicious pastries on the Gingerbread Kitchen Mrs. Claus. The Santa Park, you can ride on the fairyTrain "Seasons" and "Christmas Carousel" on the fly "helicopters Santa Claus", see the huge "Crystal Mountain" and watch a story about Santa Claus. And the owner of this fabulous country until youYou will participate in an organized them vivid and memorable extravaganza, fly on a reindeer sled on the starry sky directly over your head, to the delight of adults and children. Family holidays with children in Finland is very important to plan ahead, because it is necessary to choose the place and the type of your future winter activities. What should I consider before each tourist traveling to Finland? If you want to visit one of the winterResorts of Finland, admire the snow-capped mountains and plenty to swing on snowboards, skiing, the best place for your holiday with children will be the first ski center in Southern and Central Finland - winter resort Tahko. Furthermore a wide variety in configuration andlevels of difficulty of slopes for skiers, snowboarders, there is a slope for sledding, children's slide, free lift, trail for dog sledding. At this resort you can go fishing on the frozen lake, play golf, visit the water park "Fontanella", saunas and swimming pools, a rehabilitation center, beauty spa, leisure center Tahko Bowling. Apartments, bungalows and cottages Tahko resort located close to the ski slopes and entertainment centers with their spectacular views over the slopes of the mountains. cost of week of New Year's holiday for a family of 4people in the family cottage ranges from 1700 € to 3800 €. Family fun "day off" costs about 800 €. Price ski pass for adults is 6 days - 137 €, for children from 7 to 12 years old - 102 €. The cost of renting a snowmobile for 1 hour - 80-120 €, depending on the model of the machine; 1 day - 160 € -290 € (gasoline not included in the rental price). 2. If the New Year's holiday with the children you want to spend in the country of Santa Claus, LaplandThen you will become a spectator a great festive extravaganza. In Rovaniemi never the same after the fight chimes from the mountaindown a large group of skiers, accompanying the emergence of reindeer of Santa Claus. Travel to Santa Claus House, Santa Park, ice sculptures, winter fun, excellent cuisine with dishes from natural products of this northern land is very generous like and be remembered by your children. cost of Week vacation in Rovaniemi, the capital of Lapland, for a family of 3-5 people will cost 1250 € - 2500 €. translator and Russian-speaking guide services are € 100-150 for 1 hour. 3. Helsinki, capital of FinlandIt takes tourists on Christmas vacation, providing them with luxury hotels with developed infrastructure comfortable. In Helsinki, the New Year's holiday to your children will remember a beautiful laser show at the Senate Square and the street Aleksanterinkatu, a variety of concerts, dance shows, beautiful fireworks. You can visit the sea fortress Suomenlinna, Christmas Market in Esplanade Park Zoo on Korkeasaari Island, as well as museums, secular halls, churches, entertainment and shopping centers. cost of The family of 3-4 people can stay at the hotel from 98 € for 1 day. Those who celebrate the New Year in Finland with the children? 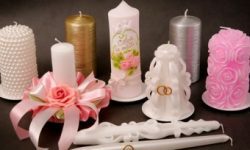 Top tips and reviews. Perhaps each family, which is planning a vacation with children in another country, is trying to find out in advance an opinion has already been there travelers. Despite the fact that thousands of families each yearsent to Finland to celebrate the New Year and Christmas in this beautiful, rich country of its traditions miraculously managed to avoid the bustle of the conveyor in the recreation of many people. Holidays with children in Finland - "good piece", they need to determine and plan in advance, choosing the holiday that is like your family. Things to do reviews of tourists will help you navigate to the level of prices and service in a particular place in Finland, and the final say in the choice is yours. 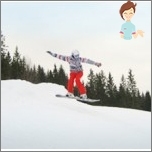 On New Year holidays 2011-2012, weWe came to the hotel "Kuopio», Tahko Hills cottage community. Located on a picturesque lake. Hotel rooms have heated floors, which was very good for our kids 4, 7 and 9 years old. Near the hotel are many restaurants, spa center, shops. The property is available for children children's furniture (beds, chairs, table), a pot. Shampoo, shower gel need to buy their own. The settlement does not require transport - all close, even the ski slopes. free lifts. For a full family vacation at this resort has everything - spas, shops, water park, bowling. The ski slopes there for all categories of skiers - from green to black. Children ride on children's downhill, engage with them special coaches. In the evening at this resort, with the end of the slopes, life does not end - the lake launch fireworks, fireworks, the music, the fun moved to hotels and restaurants. Rest we liked, we are planning to visit this resort in the summer, and then compare the two seasons. My wife and two children (5 and 7 years old) have spentNew Year holidays in Rovaniemi. All were very pleased with this holiday, an unforgettable experience, and decided to share his enthusiasm. Firstly, Rovaniemi - this is Santa Claus. 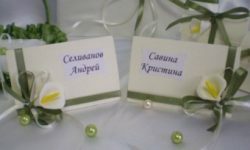 The action, which is offered in the city, comparable only with the fairy tale - everything is so unusual, beautiful and bright! Of course, Santa Claus residence opened in all cities of Finland, but still it is a real village in Rovaniemi, it is characterized by the size and beauty of all other imitations of it. The children were delighted with the visit to a reindeer farm. By the way, there is a possibility to buy Lapland reindeer skins. Our youngest visitors squealed with delight, and riding on a dog sled - blue-eyed husky was so pleased with them that they want the same dog home. Been to Arctic Zoo "Ranua", which contains almost all kinds of animals in the Arctic. There were thrilled with the visit to the museum "Arktikum", where the great hall looked at all kinds of Northern Lights, in another room - listened to the voices of birds. The museum has a hall of Finnish ethnicity, war between Russia and Finland. Near the museum we visited at the "Martinique", where the real Finnish knives are made. The huge and unforgettable experience our entire family received a visit from the "Murr-Murr" ice "Snoulend" castle, the castle. I am pleased to have visited the theatrical performances in the shaman's tent, at the Troll, in Lapland witches, elves, the Snow Queen. Adults tourists visited the night safari (snowmobile) to the fishing on the frozen lake, a picnic, a trip to the reindeer and dog farm. 6 types of family trees, photos - and you make family tree of the family?